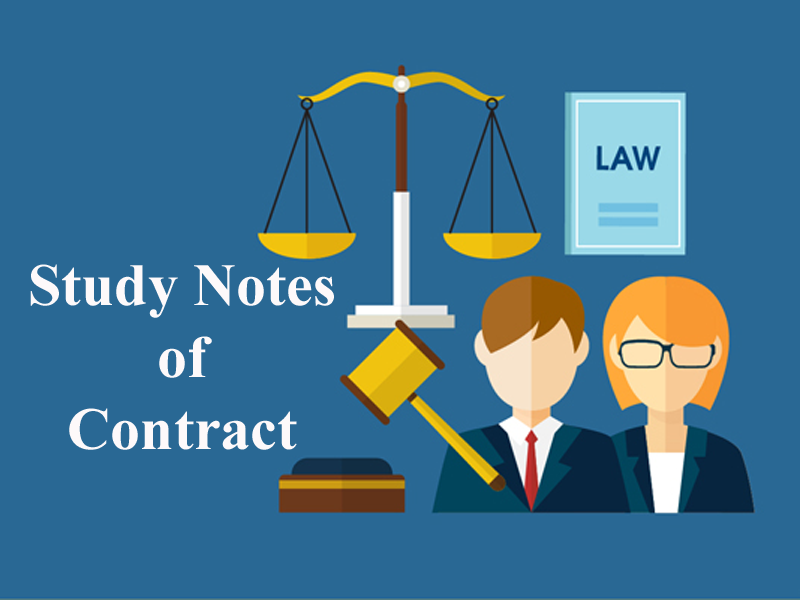 Here we are providing you updated and most relevant Study notes on Contract of Void Contract for Law Entrance Exam. These study notes are highly recommendable for all those who aspire to crack CLAT, DULLB, AILET and other Law Entrance Exam. This is a contract, which was originally valid, but subsequently, becomes void due to circumstances beyond the control of the parties. This is termed as supervening impossibility or doctrine of frustration. A provision in the legal system for the discharge of a contract, where, subsequent to its formation a charge of circumstances renders the contract legally or physically impossible, is known as the doctrine of frustration. It covers all cases where the agreement has been terminated by supervening events beyond the contract of either party. (e) Upon one of the parties becoming enemy alien. (f) Upon the destruction of subject matter in a contract. (g) Upon the change in legislation by the government. For example- ‘A’ owner of a marriage hall accepted booking for a marriage at his hall but a day before marriage the hall was destroyed by fire. The contract becomes void as it is impossible to perform marriage after the destruction of subject matter. Remember there is indeed a difference between a void contract and avoid agreement. Get the updated and most relevant study notes on Contract of Void Contract for upcoming CLAT and other Law Entrance Examination.